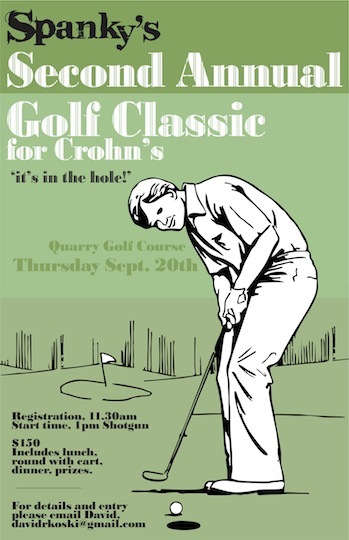 Spanky's 1st annual golf classic raising money for Crohn's research was such a success last year that they're doing it again this year. This fun event for a great cause includes lunch, prizes, dinner and a round of golf, and takes place Thursday, September 20th at the Quarry. Contact Spanky's David Koski at davidrkoski@gmail.com to enter now.